In only a second, Jake would soon realize that he had invaded the Jellyfish's personal space. In a moment, Jake would realize that this was not a gigantic female you know what. Diver: "I bet that would be good with peanut butter." The diver: You come here often? Jellyfish: Glorp, glorp, glorp, glorp. Other diver: "Um, dude? Might be a good idea not to stick your arm in there. Just a thought." FANTASTIC VOYAGE II: Coming this Christmas to a theater near you! 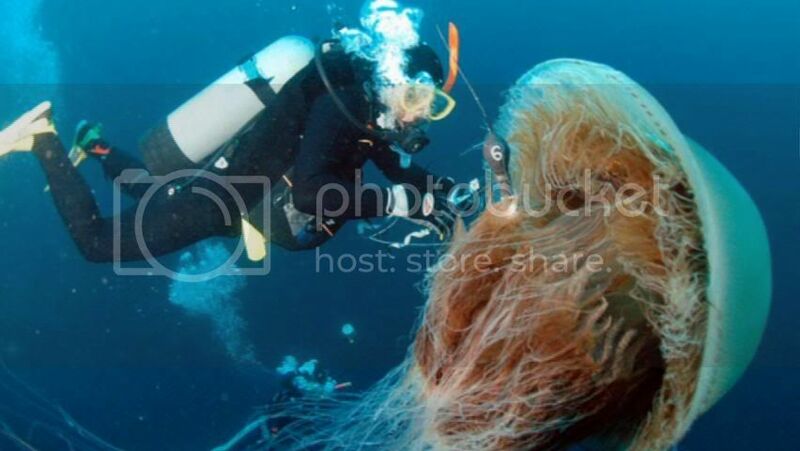 Few people realise condoms are harvested from Jellyfish. Floyd is nearly killed as a huge bowl of spaghetti falls from a passing cruise ship.